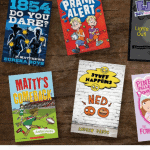 5 Easter Books for Kids | Engage little readers about the season! Looking for good Easter Books for Kids? Because Easter can mean many things – family tradition, egg hunts, a celebration of faith or bunnies, we’ve found 5 great books to engage little readers who want to know more about the Easter season. 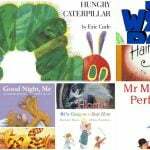 When we were collating our list of 5 Easter books for kids we were reminded of the importance of reading – particularly for young children. 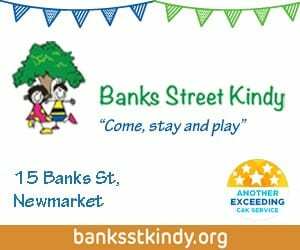 Reading with and to kids from an early age is the KEY step in improving their comprehension, communication skills, understanding and basic literacy. Children who read for pleasure see improvements in other areas to do with school work. 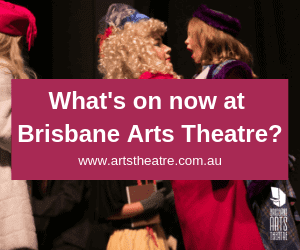 Reading is a family activity that can quickly become a treasured part of daily routines – particularly for kids who are excited about upcoming events like Easter! This is a Scholastic children’s book that will quickly remind you of classics like Possum Magic. 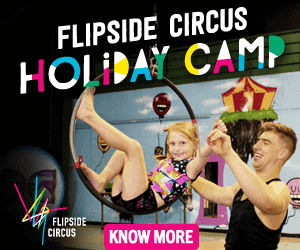 Perfect for the pre-school crowd, the author and illustrator take you wandering through ‘fair dinkum’ Aussie landmarks to meet all sorts of amazing Australian animals. Your child will delight in finding the cheeky bilby hiding the Easter Eggs – earning this book a solid place in our list of Easter books for kids. 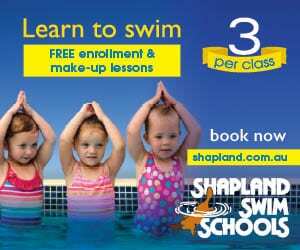 Children can improve their understanding when they are introduced to new concepts in familiar contexts. Placing the Easter story in an Australian environment means that they can match their prior knowledge to new information. 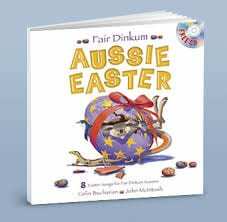 “Fair Dinkum Aussie Easter” is written by Colin Buchanan and illustrated by John McIntosh. This is the “Where’s Wally” for a new generation! You’ll quickly see why we’ve put this in our list of 5 Easter books for kids. Gorgeously decorated, intricate pages tell the story of the Easter Bunny lost in a magical burrow. It’s up to your little readers to listen to the story and find all the objects to help rescue the bunny! Interaction, such as finding and guessing, are great literacy skills to promote to young readers. These link to school-based skills like inference and prediction. When children have to solve puzzles and make assumptions based on information they are tapping into higher-order thinking skills and engaging in active learning. “Where’s The Easter Bunny?” is by Louis Shea. 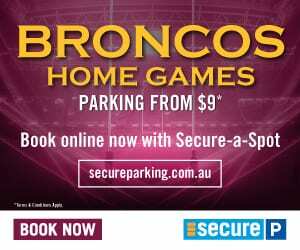 It’s just not a list of children’s books without an appearance by Mem Fox! This gorgeous tale for teeny tots helps children make connections between the symbolism of the egg and concepts like belonging, identity and family. While this text does not specifically refer to Easter, children will be enchanted by the mystery of the egg and the promise of renewal and friendship – a key element in any Easter book for kids. Stories that have themes and symbols can develop understanding, empathy, sympathy and resilience in children. These tools help them to make sense of the world and allow them to communicate and relate to others more easily. 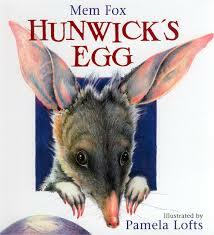 “Hunwick’s Egg” is written by Mem Fox and illustrated by Pamela Lofts. What kids book collection is complete without Spot? This series is a staple in many Australian homes which solidifies its place in our list of 5 Easter books for kids. 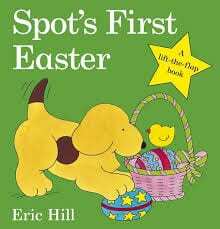 The lift-the-flap formula that Eric Hill does so well helps to tell the tale of Spot going on his very first Easter hunt. Engaging children in physical activity while they listen to stories can help appeal to different types of learners. Kinaesthetic learners understand information best through movement and touch. Children are lulled into the familiar ebb-and-flow of the Spot story with very clear narrative stages which also helps them build their inference and prediction skills. “Spot’s First Easter” is by Eric Hill. Ollie the Zebra, Fred the dog and all of their friends have a delightful time at an Easter fair. 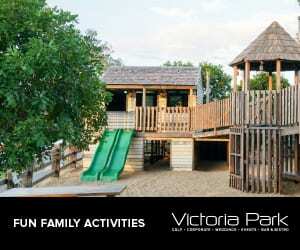 They play with baby chicks, make Easter bonnets, go on an Easter hunt and eat delicious food. Learning about customs, culture and traditions that go along with celebrations is important for children. It helps them to develop not only their own identities but to also understand how broader society can work. Traditions and celebrations bring families and communities together – another great example of how an Easter book for kids can help develop key interpersonal skills like tolerance and compassion. 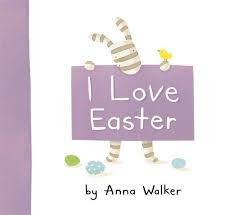 “I Love Easter” is by Anna Walker. More great Easter books for kids! 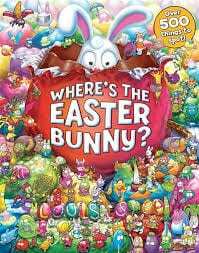 Are there any Easter books for kids that are favourites in your house? We’d love to know so we can update our list! Tell us all about them in the comments! 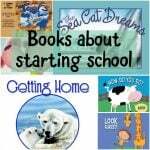 6 great books about starting school for kids and their grown ups! Early Chapter Books For Every Child!